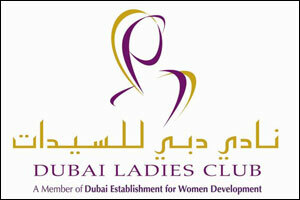 Here in Dubai Ladies Club we have assembled an experienced team of female leaders who understand the market place, our guests, and what it takes to successfully operate a private health and leisure destination for ladies only. The discipline and commitment we apply in the execution of our business strategies have led to sustainable competitive advantages. Dubai Women Establishment (DWE) is inspired by the vision of His Highness Sheikh Mohammed bin Rashid Al Maktoum, Vice President and Prime Minister of the UAE and Ruler of Dubai. DWE’s vision is “to enhance UAE women’s role to become a major driving force behind the future growth and advancement of the UAE”. DWE’s responsibility is to nurture a competent generation of future women leaders by establishing the right infrastructure and platform to ensure and sustain the success and potential of UAE women. DWE strives to achieve this goal through the endorsement of appropriate policies and by providing life-long opportunities for training and work, helping working UAE women to maintain a balance between their professional and family lives.